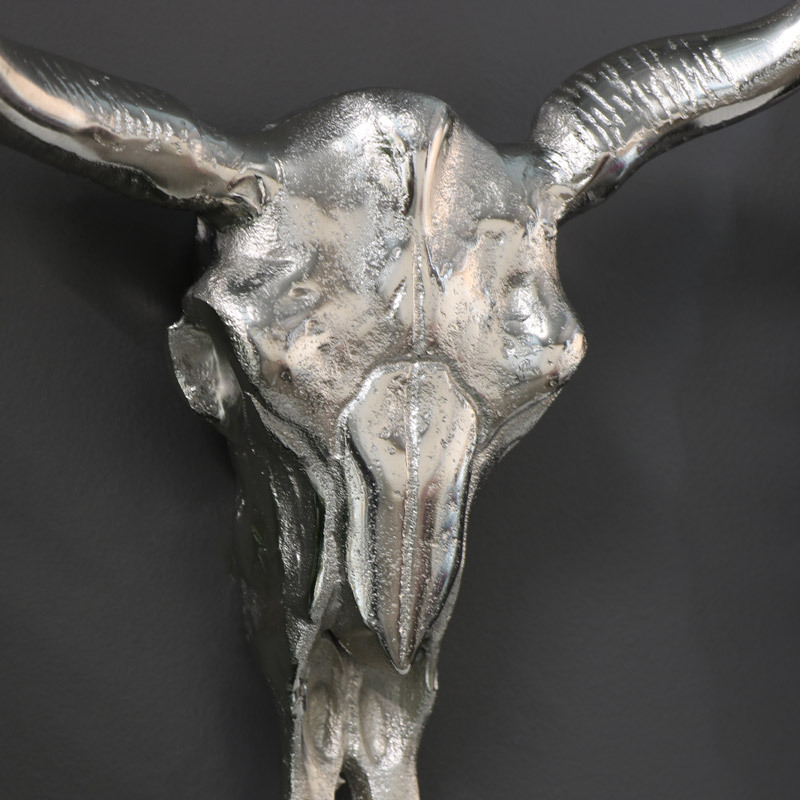 Make a dramatic statement in your home with this fabulous wall mounted bull head. Whether hung in your hallway or living room this will certainly catch your visitors’ eye. 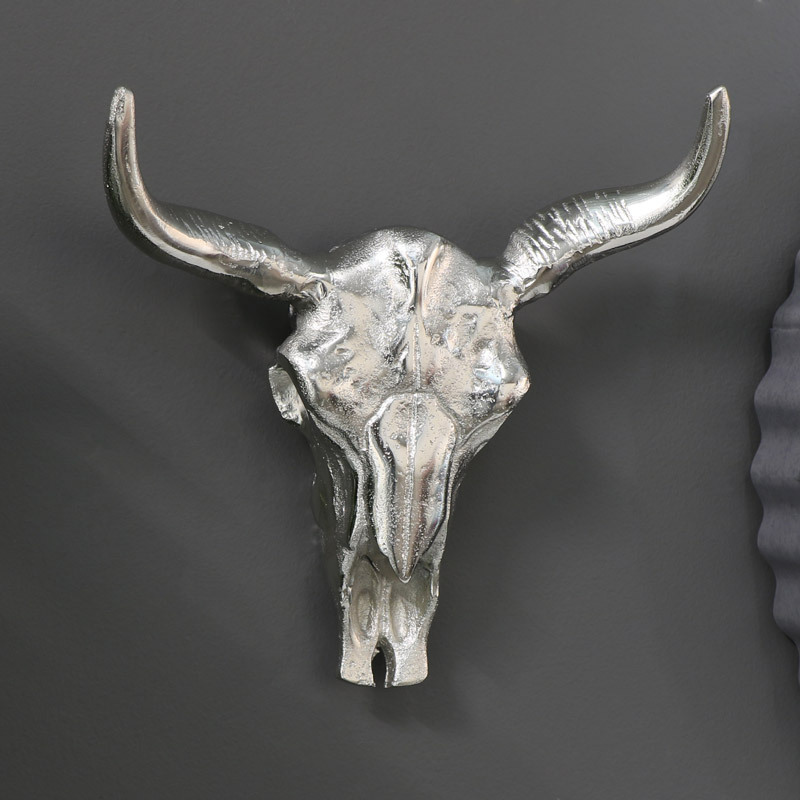 Made from metal in a polished silver finish, this wall mounted bulls head will look great with any modern and contemporary style interior. We have a wide range of animal heads available to choose from that make for a great conversation piece!